It’s been a seriously impressive decade in music for Sam Poggioli aka Sampology, with his nebulously soulful and feelgood sound underpinned by the increasing output of unique experimentation that we’ve become accustomed to from his home country of Australia in recent years. Recognised and celebrated for his fusion of Jazz and Soul, and fusing that framework with elements of world electronica and hip-hop has rightly seen the Brisbane producer recieve plaudits for his futuristic and boundaryless production output, with last year’s ethereal Mt Glorious EP proving the wait for new music was well worth it, and instantly becoming his body of work to date. Named after the national park located just outside the Brisbanite’s home city, Sam was able to bring the exotic and lush soundscapes on the EP to life by live sample sourcing from his hometown – with string quartet ‘Meraki’ and vocals from national choir The Australian Voices being utilised alongside Stone Throw’s Dudley Perkins and Georgia Ann Muldrow, with Brisbane via London artist Jordan Rakei also rounding things off in stunning style. Launching the project via his Middle Name Records imprint, the projects innovative nature was further brought to life through Sam’s personally made artwork and richly saturated visuals which were projected across the producers 6-date national tour, with widespread acclaim from the likes of Red Bull, Boiler Room, Giles Peterson and Jamz Supernova further testament to his popularity and the projects recognition on a worldwide scale. Having seen out 2018 with a collaborative EP release and the stunning funk-fuelled ‘Blooming In The Streets’ alongside Seven Davis Jr, whilst embarking on a European tour to kickstart 2019 we were lucky enough to catch up with Sam who in turn, blessed up with a supremely eclectic mix session that encapsulates his playful soundscape. Hey Sam, thanks for taking the time to talk to us today. You’re coming off the back of an amazing 2018, with the release of your critically acclaimed Mt. Glorious EP. It’s definitely a complex body of music, how long had that project been in the works and can you tell us a bit about the idea behind it? Thank you so much, appreciate the kind words! A year and a half sounds about right for the making of ‘Mt Glorious’ EP, but some songs had elements which were much older. The final version of ‘SMILE’ combined 2 different tracks I had been working on together. This track is probably my personal favourite as I’m always challenging myself to make instrumental songs as dynamic and interesting as possible without a lead vocal. Listening to the EP it appears to draw from sounds across the spectrum, was this a coming together of music you’ve been taking in in recent times, or have ‘world’ sounds always been an interest? What you are talking about is a full circle situation. When I starting out making music I was primarily influenced by very sample based music, both hip-hop and dance. After that initial period I got into electronics more-so but since my EP ‘Natural Selections’ in 2016 I have been really interested in a spectrum of colours sonically again. However now the majority of the sounds are recorded in my home studio in Brisbane rather than sampling records. Your fellow Brisbane native Jordan Rakei is an artist who’s had an amazing few years here in London, how was it working with him and was this your first time collaborating? 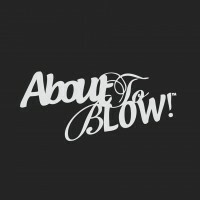 There’s actually another unreleased track I have of mine he sung on in Brisbane, and there’s a little cover version of ‘Collard Greens’ we did for a free 2016 mixtape ‘Birds Of A Feather’, you can get that from sampology.com. I didn’t realise it until we met properly in Brisbane that our families have known each other since we were both quite young kids. It’s fantastic to see his evolution creatively as well kicking big goals with his music career, much deserved. A tour of (your home country) Australia followed the release. From the footage of the Tivoli Brisbane set it looked really special and immersive. Having been known originally for your audio/visual sets, was there any pressure or expectation going into those live shows, and how did the tour go overall? Tivoli was a standout show for me because it’s my favourite venue in Australia and the show was supporting The Avalanches. Coming from previously performing audio/ visual sets a few years back I felt that expectation yes. However as I gain more experience I’ve realised often to let something new grow you may have to let something old die. All the projects I’ve been building the last three years are everything I hope to achieve and more and the growth feels really fulfilling. The live show will evolve more this year, with additional live musicians with forthcoming release tours. I’ve found combining everything I learnt from my audio visual days to what I’m doing now quite beneficial and I like to be as self-sufficient as possible with that visual element. You’ve also started incorporating your own art pieces into your releases. There’s a clear consistency of saturation and vibrancy to your artwork, is art something you’ve always had a passion for? Does it influence your productions at all? My mother is an artist, and it was her encouragement that I should start drawing again a couple of years ago which was the inception for using my own art for releases. The art doesn’t really influence the production, it’s more that it visually represents what I want to create sonically at the moment; very colourful, joyful. You dropped ‘Middle Name Dance Tracks’ alongside Megan Christensen and Sam Stosuur – tell us a bit about that project and how it came together. I found that in my home town there were amazing impromptu recording sessions which resulted in stacks of really dope tracks, unfortunately not destined for any specific release. As a solution for this Sam, Megan & I purposefully built on these sessions with the goal of this release in mind to house a 4-track vinyl release. It’s also an attempt to capture and celebrate a touch of the dancefloor energy in Brisbane recently. A standout track ‘Bless’ is also the name of a Brisbane club night I really enjoy attending. It’s fantastic to make music after you’ve been to a great club night, press it to vinyl, then play the songs on wax to the same room 6 months later! 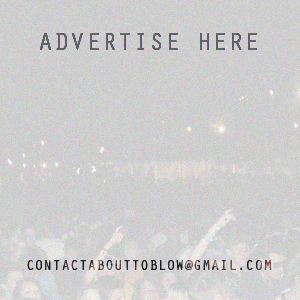 Having also teamed up with friend of ours Seven Davis Jr on the amazing ‘Blooming In The Streets’, do you have any other collab’s in the works you can let us in on? I have huge admiration for Seven Davis Jr on many levels and big gratitude he blessed the track we collaborated on, I was just listening to his dope new one ‘Bedtime’ for the first time tonight from his next album. I’ve just been in Berlin and did some sessions with Wayne Snow and as always there’s a scattering of hometown talent across my forthcoming projects. Born and raised in Brisbane, there’s been a definite wave of Jazz and Instrument-driven artists from the area and Australia on the whole over the last few years, there’s a definite stamp of quality to the music, what’s the scene like over there and are there any artists who you feel are about to blow? Cities and countries are a living and breathing organism which are constantly changing. I’m definitely appreciating where Australia is at the moment creatively. I hope it continues to evolve and more & more power can be held by the creatives themselves to successfully put out these projects. There’s an artist Tiana Khasi who I’ve produced & mixed a debut EP for. That’ll be coming out on Soul Has No Tempo in a couple of months & her first single also featured on Brownswood Bubblers compilation end of last year. I’ve been lucky to recently check out forthcoming albums from Laneous, Vulture Street Tape Gang & Clever Austin (Hiatus Kaiyote drummer) and highly recommend those upcoming releases! Melbourne in particular is definitely a huge ball of creative energy & momentum atm. It’s been a busy start to 2019, with a European tour taking you to Koko in London amongst other places for Giles Peterson’s Worldwide Awards, how was that experience and how’s Europe been treating you? I’m still here, just played a wicked party in Brighton over the weekend for my first visit to the city. Europe on this trip has been a real eye opener on a musical and personal level for a stack of different reasons. It’s expanded and solidified my own musical trajectory for my projects this year and I’m incredibly glad for that. It’s also made me appreciate my warm and sunny weather in Australia and the bountiful amounts of vitamin D our bodies are gifted most days! Lastly, what does the rest of the year have in store for you? 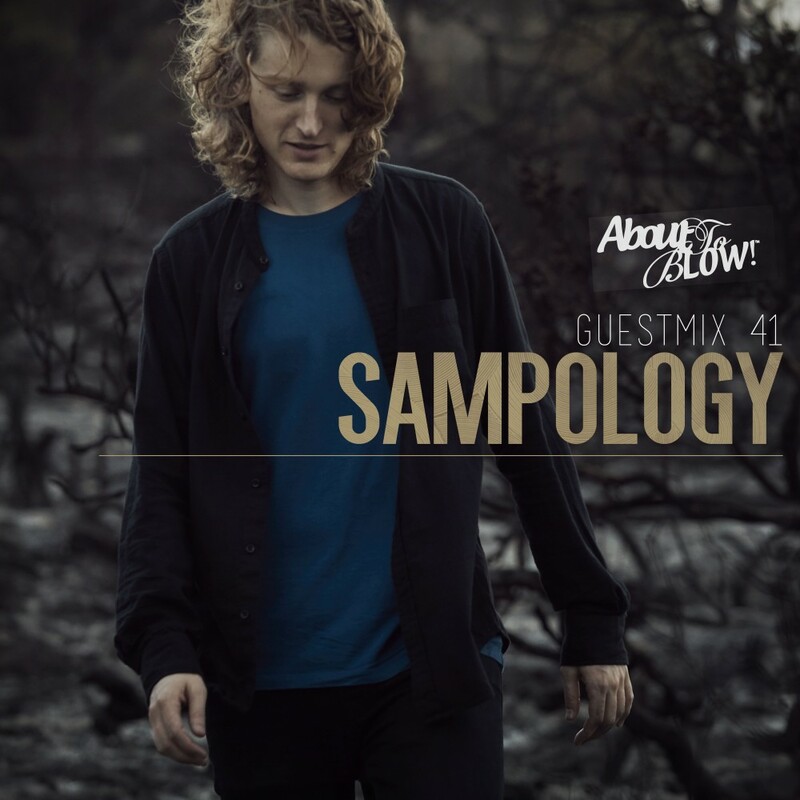 Sampology album around the middle of the year and then ‘Middle Name Dance Tracks Vol. 2’ in October! I’ll also be heading back over to Europe/UK around October and am looking forward to playing as many new places as possible, already planning it out now!